Music, dance, art, sports…Whatever your child’s interest, Suwanee Magazine has a camp listing for your child! 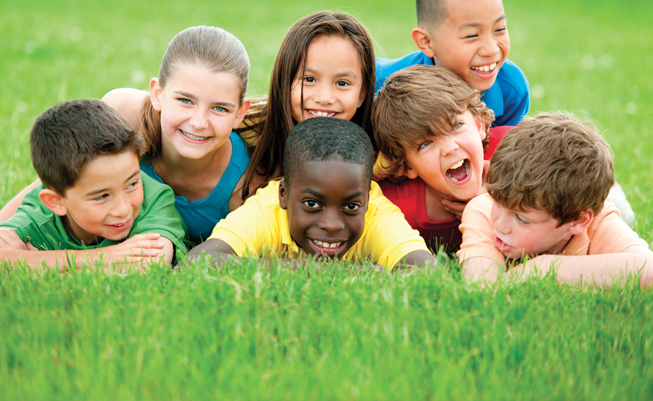 It’s that time again – time to plan where your child will spend his or her week of summer camp. Whether one week of camp or several weeks of camp are in store for your child’s summer, Suwanee Magazine’s Camp Guide can help make the decision on where to send your little camper an easy one. Many camps fill up quickly so make your plans early and register your child for one of the hottest camps around! Your child can be a meteorologist, robot maker, video game inventor, veterinarian, or space explorer! Club Scientific North Georgia is a high-quality science camp for children ages 4-13. With hands-on science projects and an 8:1 student/staff ratio, we provide programs to excite the minds of young children. Science was never this much fun! The Actor’s Edge Summer Performing Arts Camp enrollment is open! From June 3rd – August 2nd children ages 4-17 can choose from week-to-week sessions in: Musical Theatre, Teen Triple Threat, Stage Combat, Costume Design and Acting Camps. Join the FUN as we explore magical worlds through Improvisation; Build Acting Skills with Confidence; Learn to Fight and Fall like a Pro with Stage Combat; Musical Theatre Dance; Develop Stage Presence & Strengthen Singing Voices. Located 4635 River Green Parkway, Duluth, GA 30096. Full-day hours 9:00-3:00. Half day 9:00-12:00. Both with a talent showcase every Friday for parents and friends to enjoy. Your child will FLIP over Georgia Gymnastics Academy Summer Camp! Our camp is open to boys and girls 4 years old and up, with select weeks offered for 3 year olds. The GGA camp experience includes structured gymnastics instruction coupled with recreational games and activities. Children will develop gymnastics skills, climb the giant cargo net, enjoy trampoline and pit time, floor games, outdoor play, open workout and more! Half-day and full-day sessions are offered. Join us for a summer filled with friends, fun and fitness. Tavani Soccer Camps are back for their 11th year. Our camps are for all skill levels players, boys & girls ages 4-15. M-Fr 9-12 at Bunten Rd Park, Duluth. The camps are designed to be both intense and fun – experienced players will be challenged and beginner players will fall in love with the game. Players are assigned to a coach according to age and skill. Dribbling, passing, shooting and playing as a team, are emphasized in small-sided games daily. Each player receives a camp t-shirt, leather hand-stitched ball and a personal evaluation. All aboard for Trains through Time, the exciting summer camp at the Southeastern Railway Museum! Explore more than 50 historic train cars and locomotives as you learn about the important inventions that changed the railroads over time. Each day introduces a different era and new trains! Daily activities include crafts, railroad-related activities, and more. You’ll even ride in a real caboose! For kids, ages 6 to 12, each 1 week program is jam-packed with adventure, exploration, and excitement. Outdoor fun and education on a “Higher Level” is what you’ll find at Adrenaline Climbing. We take the term “Field Trip” to the extreme. We travel to exotic locales, both indoors and out, seeking the most unusual and interesting experiences for our kids. It’s just one of the many reasons why we’re voted the top day camp in Atlanta year after year! Voted best summer day camp by local publications, Camp All-American is the premier camp in North Atlanta. Join us for our 24th summer and see for yourself why campers and parents alike rave about the Camp All-American experience. Our world class facilities include more than 100 secure acres loaded full of fun: 11 acre wilderness and ropes course area contains over 1 mile of zip lines, giant swings and one thrill after the other, pristine athletic fields, tennis courts, water complex, putting green, and over 300,000 square feet of air conditioned space. THE FUN IS AWAITING as your child experiences something new daily at Camp Crimson for ages 5-12!! Our camp staff of caring educators and counselors create a family atmosphere where each child is valued as an individual. Our camp encourages growth and learning through creative exploration, movement, and play. We strive to provide opportunities to achieve success, build confidence and develop positive self-esteem through a variety of projects, activities, special events and field trips. This year we will be taking trips to the movies, skating rings, laser tag and much more! Our theme this year will be “Discover Your Dreams”. Join us at Wonder Colors Art Studio for our Art Summer Camps! We offer a variety of camp options. We are here from 8:30AM until 5:30PM Monday – Friday for three weeks in June and July. Artist may join us Monday – Friday for full days from open until close or half days with an option of AM or PM spots. Artist may also drop in for one full day, open to close, or one half day with an option of AM or PM spots. Offering new lessons and crafts at our camps every day, come as often as you’d like and never repeat a lesson! Fun and exciting full-day camps specifically designed for 5–13 year olds. All Adventure camps feature general recreation activities with a thematic twist! Our facilities also host several partial day Special Interest Camps with a variety of hours featuring specific activities such as sports, technology art, dance, and drama led by contracted instructors. New this year, is Camp Aide for those 13-17, to learn life-building skills as a volunteer at Gwinnett County Parks and Recreation. Prepare for leadership roles including Camp Counselor while developing confidence, teamwork, interview skills and more. Call 770-822-8840 for more info. Peace, Love & Pottery and Luv For Art have joined forces to become EYE CANDY ART STUDIO! Now offering even more Art Awesomeness! Join us as we celebrate our 4th year of Art Camp! We have weeklong options and daily drop ins full of fun artistic mediums for children ages 5+. Enjoy Glass Fusion, Pottery, Canvas Painting, Sculpture & More! We’re also open daily for painting! Need some Adult Art Therapy? We have evening events such as Wine & Paint classes!! Camp is $170/wk; $45/daily. Register by April 1st for a 15% discount, be sure to mention Suwanee Magazine! The Encore! Band Camp provides an enjoyable summer experience for band students currently enrolled in the 5th through 9th grades. Students receive a great blend of educational and recreational activities during the week. Rehearsals and master classes are conducted by highly skilled specialists with proven success in working with band students at this level. All staff members, including counselors, are adult, professional musicians/teachers. In addition to rehearsals and master classes, afternoon and evening recreational times are scheduled. The camp closes with concert performances in the evening of the final day of camp. SkyCamp is the perfect way to combine FUN and fitness. It is five, half days of instructor-led activities, age-appropriate SkyRobics, open jumping, and 3D Dodgeball, all incorporating the fun and excitement of Sky Zone. Attendance will be limited. Register today! Are your kids climbing the walls? Let them come climb ours instead! Summer camp at Gymnastix Training Center includes gymnastics or cheer instruction, arts and crafts, game time and outdoor water activities. We have different weekly themes such as survivor camp, heroes camp, splash camp and cheer camp. Camp hours are from 9-3 daily with FREE before and after care if needed. Weekly camp fee is $155, with sibling discounts, and multiple camp discounts available. Register for all nine weeks for the best deal of the summer. Come join us as we develop children into more than just athletes! July 15-19; Emory University, Boys and Girls, age 10-18, will have an opportunity to learn from the pros in the sports broadcasting industry. Meet sports celebrities. Make sports anchor tapes, reporting tapes from a stadium, play-by-play tapes of the Super Bowl and NBA Final or host your own ESPN style PTI show as well as your own sports talk radio show. Participate in sports trivia contests, stump the schwab game, and much more. Day and overnight options available. Paint a horse, participate in a Fairy Tale Ball, explore the art of drama, puppets or be a CIT, make friends and learn social skills in a fun and exciting world. We focus on building self-esteem and character building. Spectrum Day Camp is for children to young adults with social, communication, sensory and behavioral needs interested in making friends, learning to be better friends and having fun. Children with Autism/Asperger’s, Communication Disorders, Sensory Integration Disorders and other social skills needs will benefit from participation in Spectrum Day Camp. Visit our website atlspectrum.org or call 678-926-3297 for more information. Suwanee Sports Academy is Gwinnett’s premier multi-sport facility, and with nearly 100,000 square feet of indoor recreation space it is definitely the place for Suwanee kids to be this summer. SSA’s My Sport Summer Camps run every week of the summer and give kids the opportunity to learn and play a variety of sports and activities in a fun, safe and air-conditioned environment. Suwanee Sports Academy also offers numerous sport specific camps for basketball & volleyball players. Dive into art and discover your own you-ness. Choose to paint with mud, make mix up animals, or draw those special memories of your family. Fun times await you at Anita’s ArtsCool in Buford. Teaching creativity, the basics, techniques and encouragement to explore various media to children, teens and adults since 1998. Ask about our art parties: children’s birthday parties, Ladies Night Out and Families Making Memories. LITTLE PRINCESSES (ages 3-7; mornings June 3-7 & June 17-21) will have Enchanted Adventures at the Castle with the Fairy Godmother, Queen Bee and Princesses, culminating with a Majestic Ball. LITTLE HEROES (ages 3 -7; mornings June 24-27) will have action-packed adventures while training to save the day. They will learn basic tumbling, sports and aerobic skills, as well as character traits of Superheroes. MUSICAL THEATER PERFORMANCE WORKSHOP CAMPERS (ages 7–13; all day June 10-14) will experience all facets of putting on a musical performance for family and friends – including a guaranteed part in the show! Multi Sports Summer Camps focus on keeping kids active in a fun sports-centric experience. Participants will enjoy activities including soccer, football, wiffle-ball, kickball, PE Games, and more in our climate controlled indoor soccer facility , and a Field Trip* to local Atlanta area attractions. Please go to northgwinnett.com/community school for more information.